These scissors are crafted by the famous Swiss cutlery manufacturer from the highest quality materials. 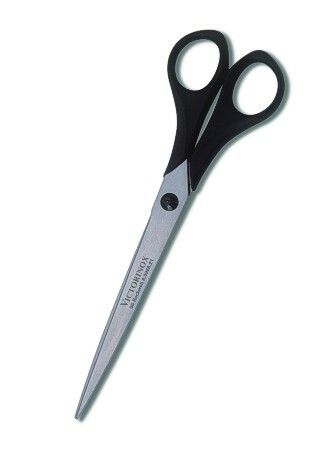 Lightweight and precision ground these robust scissors will give you many years of continuous use. These 21cm (8¼ inch) scissors have black polyethylene handles and the blades are hardened to Rockwell 56, they can also be adjusted via a pivot screw.